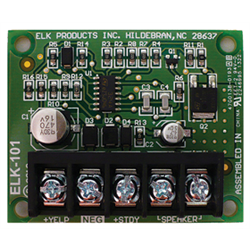 The ELK-101 is a two channel (Yelp and Steady) siren driver. It is capable of delivering high output volume while consuming very low current draw. 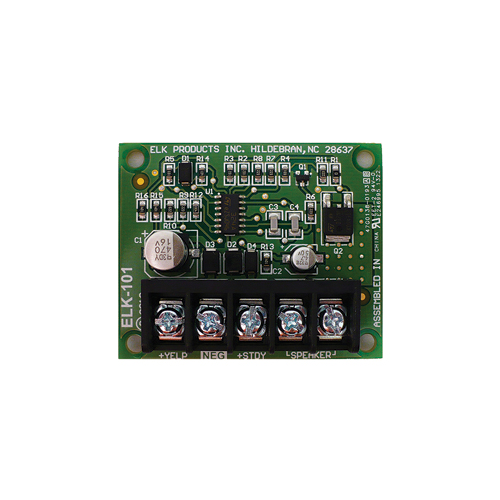 It can be powered from 6 or 12 VDC and is compatible with a wide variety of alarm panels. Dimensions: 1.9"H x 2.3"W x .7"D.